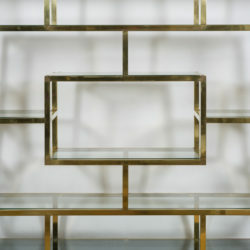 Wide symmetrical shelving system by Romeo Rega. 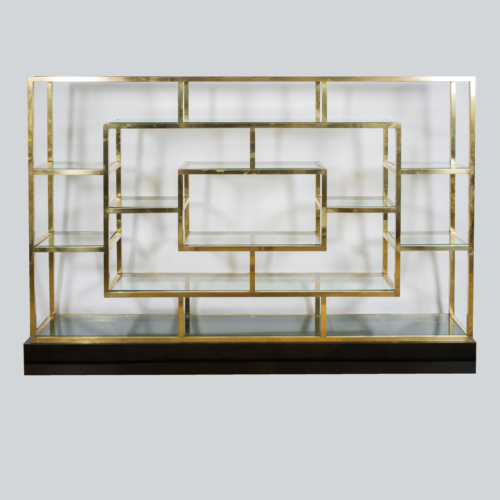 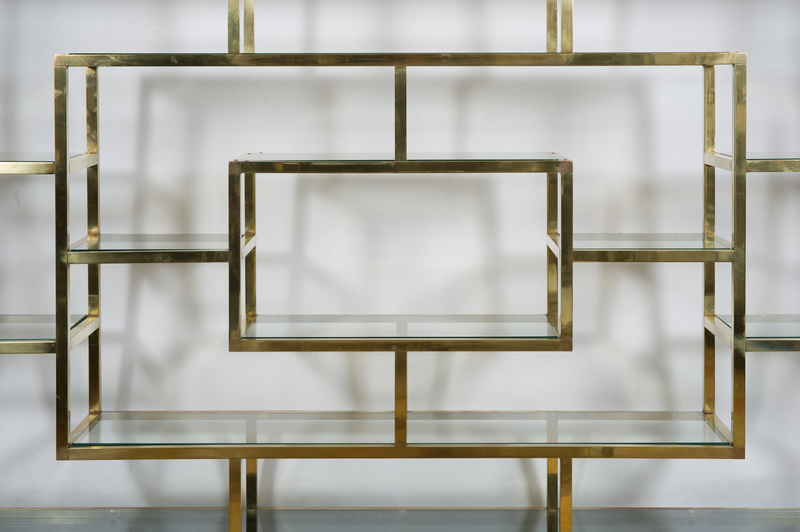 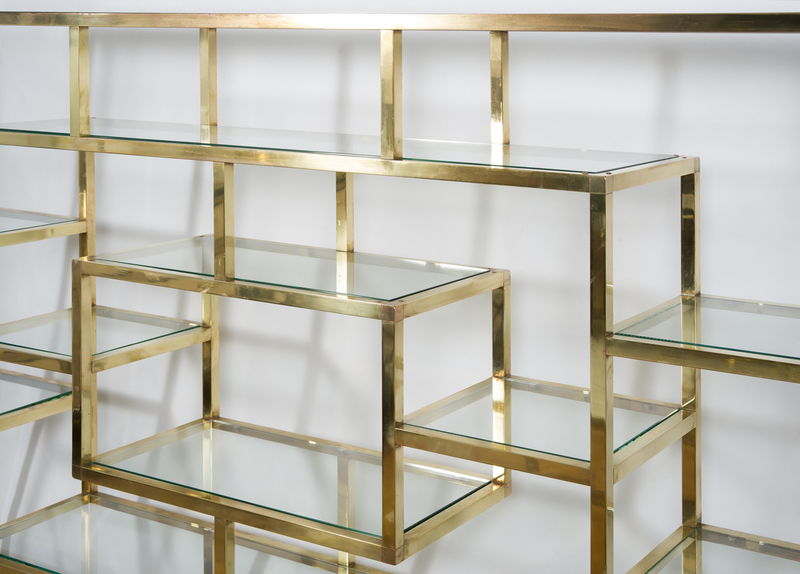 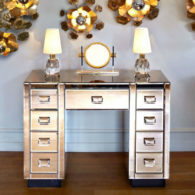 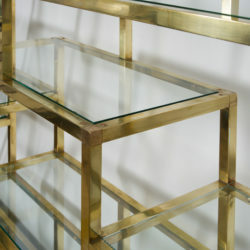 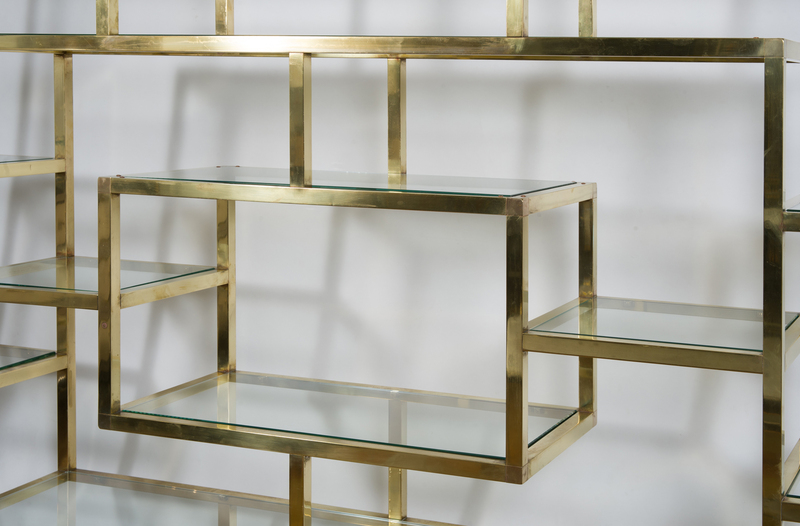 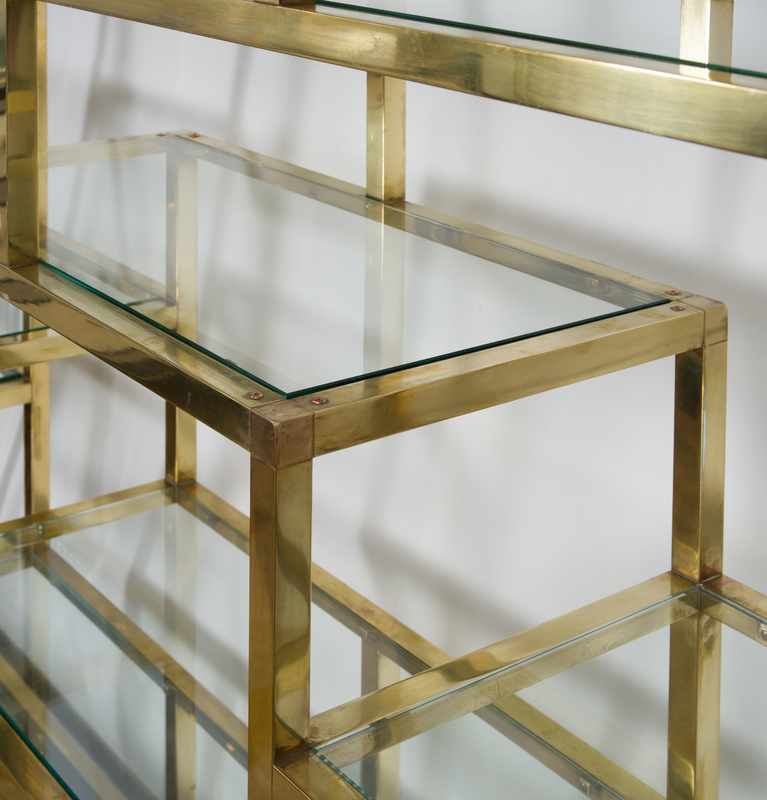 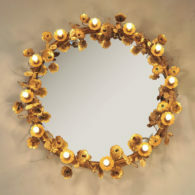 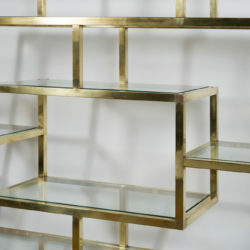 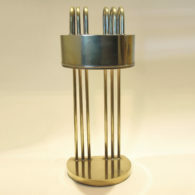 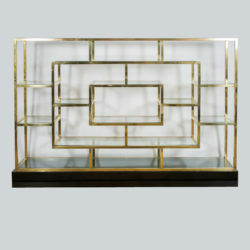 Polished brass frame with clear glass shelves sit on a black lacquered base. 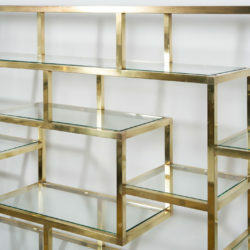 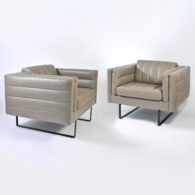 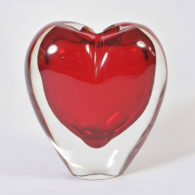 Would make a perfect bookcase, display shelving or floating room divider.